Employers and employees alike often find themselves facing increasing challenges when it comes to remaining competitive in today’s economy. The increasing demands for adoption to the newest processes and technology in industry has resulted in the realization that the skills of employees are often redundant and require improvements in order for them to be able to compete. In general the term “incumbent worker training” is used to denote any existing efforts on the part of the employer to provide training to current employees in order to help keep them employed and competitive. The Incumbent Worker Training Program (IWTP) is designed to benefit business and industry by assisting in the skill development of existing employees leading to an increase in worker productivity as well as benefitting the growth of the company. You can also use this program to provide safety training to your employees. The IWTP Small Business Employee Training Program (SBET) is designed to benefit business and industry by assisting in the skill development of existing employees through individual, standardized training. Once the training has been completed and proper documentation has been submitted to the Louisiana Workforce Commission (LWC) employers are reimbursed for tuition and any required textbooks and manuals. Training costs cannot exceed $3,000 per trainee per state fiscal year (July 1 - June 30). Funding is provided through the Workforce Development Training Account, at 2.3% of all IWTP funds available. Employers must be based in Louisiana with 50 or fewer employees and must have been in business for at least three years, contributing and in compliance with state UI tax laws. 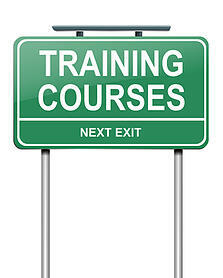 Select an authorized safety training provider. SafetyPro Resources is proud to be an authorized training provider for the Incumbent Worker Training Program (IWTP) – Small Business Employee Training (SBET). The employer completes and submits an SBET application online and send the signature page and appropriate supporting documentation to Louisiana Workforce Commission where the application will be reviewed by LWC staff to assure all necessary criteria are met. After final approval from the IWTP Director the employer is notified and training begins. The employer will submit proof of payment and training completion to the Louisiana Workforce Commission to receive reimbursement. To increase training capacity and understanding of incumbent worker training by employers.